Have you struggled with understanding the Doctrine and Covenants? As a collection of separate and diverse texts, it can be rather daunting to study. After all, it is the only one of the standard works that does not tell its own story. Making Sense of the Doctrine and Covenants addresses this challenge in a creative new way. Rather than giving a verse-by-verse commentary, author Steven C. Harper takes readers on a guided tour through the revelations. Drawing on the earliest manuscripts of those revelations, he provides historically grounded insights into why each revelation was given, what it means, and why it matters. Chapters on every section of the Doctrine and Covenants begin by delving into the historical record to recreate the question or problem each revelation was given to resolve and end by showing readers the outcomes for individuals and the Church. 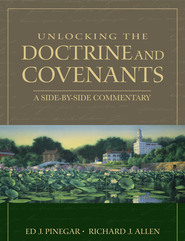 Families and scholars alike will relish the depth and accessibility of Making Sense of the Doctrine and Covenants. It is an invaluable addition to any gospel library and a fascinating resource for anyone who wishes to become more closely acquainted with this marvelous book of scripture. Download a printable 8x10 pdf map. Download a smaller map to fit inside scriptures. Great for each member of the family to have their own copy to refer to all year or could be used as a handout for classroom use. 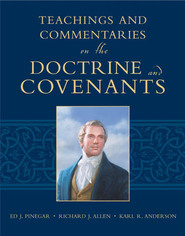 I’ve searched through nearly all of the Doctrine and Covenants commentary books that are currently available. I was seeking something that would help me better capture the context and setting of each section in the Doctrine and Covenants. 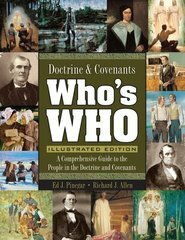 I want to pass along that I consider this book the finest and most helpful resource on the Doctrine and Covenants that exists today. This book has made my study of the Doctrine and Covenants more meaningful. It gives the context and backgrounds of the revelations and increases one's understanding of the messages of the revelations. 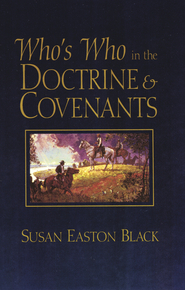 I purchased this book as a companion book to help develop a better understanding of the Doctrine and Covenants and the history and people at the time of many of the revelations. This book was great surprise and will be a reference on my book shelf for many years to come. Great writer, dont miss this book. i was recently called as gospel doctrine teacher for my ward and this book is a wonderful aide in better understanding the context of what i am teaching. the threefold explanation of each section is exactly what i was looking for. I have enjoyed reading and searching this book for better understanding of the Doctrine and Covenants. I like the approach Harper takes in making the reader think about and review the scriptures. This will definitely be a great asset in teaching this year. A truly brilliant and profound way to present the Doctrine and Covenants to those that would like to understand its deeper meanings and interpretations. This is one of the greatest books I've ever owned and It has become one of my most prized posessions; Outside of the scriptures themselves. Dr. Harper was my former Professor for D&C at BYU and his presentation of the D&C in this book is the same way he originally presented it in my D&C class at BYU through powerpoint presentations. I can recall many sentences in this book from taking his class. If you desire to know further the happenings of the Prophet Joseph and the saints in the early days of the church; then this is a must read for you. My advice would be to read a section in the scriptures and then turn to Brother Harper's book for further depth and understanding of this sacred text. If you do so; you will be truly blessed I believe. 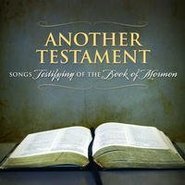 This helped me understand and learn the more about the revelations and prophecies in the D&C and the history behind them. Excellent learning tool!!!! Thank You Brother Harper! Can I just say Wow?! I have always been intimidated by the D&C's. Now I am excited to have some really thoughtful Sunday School discussions. This book has brought clarity to me I never expected! I would recommend it as a wonderful Christmas gift for all your loved ones. Think page-turner and scripture reference in the same book! This one says more in a single volume than other D&C books say in 2 or 4. And it's not only comprehensive but fresh and fast-moving. Some D&C references state the obvious. This one is full of little-known storylines and characters that bring revelations to life. On every page there are new insights. The author is one of the editors of the Joseph Smith Papers and it shows. Because of his research, every page bursts forth with new information. Each chapter begins by explaining why a revelation was given, then delves into the revelation, then sums up how the early saints acted on it. It's a completely novel approach; one wonders why it's not been done before. Truly this book makes sense of the Doctrine and Covenants. What a wonderful resource! The complete Doctrine and Covenants in one book. The author does a great job of not giving the reader 'fluff', rather a real 'meat and potaoes' book to satisfy the hungriest of learner- like sitting in on one of his lectures at BYU. Couldn't recommend it any higher.